I came into reading An American Tragedy by Theodore Dreiser in an unusual way. 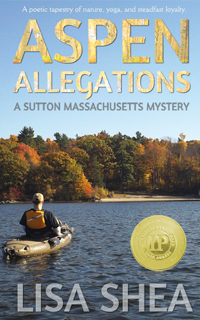 I was writing a fictional murder mystery which involved a 1960s drowning in Lake Singletary in Sutton, Massachusetts. When talking with friends about my plot, they pointed out that there HAD been a drowning in Lake Singletary, in 1935. Newall P. Sherman, a married man, had fallen for a young mill-factory co-worker. So he took his wife Alice out into the lake in a rowboat and drowned her. The trial became a nation-wide sensation and was called "An American Tragedy" by many of the papers. The writers were referencing this book which had come out exactly ten years before. 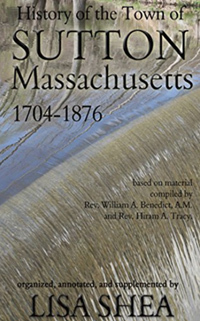 There is little doubt that Sherman's actions were based on this book. What makes the tale even more fascinating is that An American Tragedy, while fiction, is based on a real life drowning in 1906. Chester Gillette was the man in question and Grace Brown was the woman he drowned. So we have art imitating real life, and then real life imitating art. And then came the movie A Place in the Sun, and on it goes. So reading the book was fascinating to me, because at that point I'd learned all about the 1935 real life drowning caused by the book. 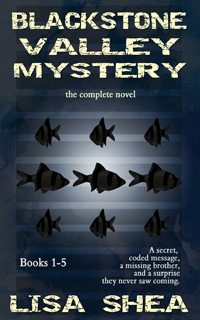 The book lays out in substantial detail how the process unfolded, even going back to the protagonist, Clyde Griffith's, youngest days. This 866 page book goes into rich exploration of just how this man grew up, hit hurdles, overcame them, and got to the point that he was in a factory with a young woman. We understand by then all the complex aspects of his character and his concerns and fears and desires. We get the same with Roberta. We learn why she held out against and then finally gave in to Clyde's advances. We understand her fears and concerns when she gets pregnant. We have a sense of the confusion and unhappiness and tension as they try to figure out what to do. Lest we get sidetracked by a debate of contraception rights, the point wasn't that it was a pregnancy specifically that caused the issue. It could have been anything equally life-changing. The focus of the book is on how Clyde and Roberta reacted mentally and emotionally to that challenge. Nearly all of us hit hurdles in life that are life changing hurdles of some sort. We are presented with a range of options on how to get past them. A key focus of this book is on how we, as flawed humans, look at those options and try to sort and choose from them. Yes we all have a sense of "right" and "wrong" - and it's clear in looking at humanity that each of us has a slightly different yardstick from our neighbors. It's not even just a "help me or help others" single-sided slider. There are all sorts of different dimensions. Do we hold family / friends to different standards? Do we help strangers? Are we frugal? Do we worry about our reputation? There are so many different things that we take into account, that it's no wonder that, like snowflakes, no two of us are exactly alike. So these are the things Dreiser examines. Each person in the story has his or her own flaws and positive traits and foibles. Lawyers are swayed by politics. Witnesses are swayed by their reputation. Mothers are swayed by family ties. We all twist and bend based on the specific things we value. Certainly we might hope that, should we find ourselves in a dire strait, we would not take a route out which seriously hurt another person. Still, life rarely has a perfect balance. For example, we know that every day 25,000 people die of hunger. That includes 16,000 children. So in this one day today, 25,000 people have died due to having no food. The WFO states they only need 50 cents to feed a person for a day. So let's say I "splurge" on a $5 coffee-and-muffin every day. That is 10 people I could have kept alive - and instead I "selfishly" spent it on a whim for myself instead. We argue that we deserve luxuries that we worked for, and maybe that's true. But maybe it's also true that a human being's life should be worth more than a luxury item. If that person was right in front of us, and we knew our 50 cents would ensure they survived the day, would we give it to them? If so, why does it matter if they're in the next town over? Again my point is that each of us makes those decisions through our own complex lens. I know people with laptop computers and smart phones who feel they are poor. I know people with no electronic items at all, no electricity, and an outhouse in their back yard who still share portions of their food and supplies with the less fortunate. We all make these decisions every day, and the book does a great job of delving into how complex they can be.